Last fall on the blog, I posted some information about laws and regulations in Brazil that might affect the use of microorganisms and algae, particularly ones with genetic modifications, for production of biofuels or bio-based chemicals. That post was one of a series of entries serving as background information for a poster I presented at the 2013 Algae Biomass Summit, and so like the others in the series, it primarily focused on uses of algae and cyanobacteria, although much of the information was relevant to potential uses of other genetically modified microorganisms for industrial purposes. In today’s post, I’d like to briefly update the situation in Brazil, particularly in view of two new approvals that were granted near the end of last year for uses of modified microorganisms for contained industrial manufacturing in the country. To summarize the regulatory landscape in Brazil, the country has ratified the Cartagena Protocol and has adopted a national biosafety law (Law No. 11,105 of March 24, 2005, available here in either English or Portuguese). The law creates a national regulatory framework administered by the Biosafety National Technical Committee (Comissão Técnica Nacional de Biossegurança, known by its Portuguese acronym CTNBio), and the National Biosafety Council (CNBS), with the involvement of the Ministries of Health, Environment and Agriculture, the Special Secretariat of Agriculture and Fishery, and other agencies. CTNBio is a 27-member committee comprised of technical representatives from across the Brazilian government. The CTNBio website, in Portuguese but with some links to English pages, can be found here. Regulations implementing Law No. 11,105 were put in place by Decree No. 5591 of November 22, 2005. The Law and its regulations require that companies wishing to conduct commercial activities using genetically modified organisms (GMOs) or to test or use modified plants in the environment must seek the approval of CTNBio. Specifically, the Law requires approval for any activities involving the “cultivation, production, handling, transport, transfer, commercialization, import, export, storage, consumption, release and disposal of GMOs and their derivatives for commercial purposes.” It is therefore likely that proposed uses of modified microorganisms, even in contained manufacturing, would require multiple approvals under the regulations, not only for the proposed use itself, but possibly also for the importation of the GMO into the country and an approval or registration requirement for the laboratory or manufacturing facilities to be used within Brazil. My post from last fall briefly mentioned that CTNBio had approved two applications from Amyris for the use of genetically modified microorganisms for the production of farnesene. 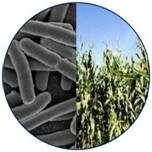 There have now been two other, more recent, CTNBio approvals of other uses of GMOs in contained manufacturing. Summaries of all four approvals follow, along with links to the detailed online summaries of the CTNBio decisions (these links are all to pages in Portuguese except where noted). Please note that, although the CTNBio website has a menu tab for the English language page “Commercial Approvals”, followed by a page for “Microorganisms”, those links lead to only one English translation of a CTNBio microorganism approval – in order to locate all four approvals, it’s necessary to click on the Portuguese language tab “Aprovações Comerciais” and then to go to the “Microorganismsos” page. Subject: Request for Opinion on the commercial release of yeast (Saccharomyces cerevisiae) strain Y1979 genetically modified to produce farnesene. Amyris Brazil SA requested CTNBio’s technical opinion on the biosafety of genetically modified Saccharomyces cerevisiae yeast strain Y1979, engineered to produce farnesene by expression of the farnesene synthase gene from the nonpathogenic medicinal plant Artemisia annua L. CTNBio decided that the information provided by the company supported the safety of the product and the proposed use of the modified microorganism for the industrial production of farnesene. Amyris Brazil SA requested CTNBio’s technical opinion on the biosafety of genetically modified Saccharomyces cerevisiae yeast strain Y5056, engineered to produce farnesene by expression of the farnesene synthase gene from the plant Artemisia annua L. CTNBio decided that the information provided by the company supported the safety of the product and the proposed use of the modified microorganism. Applicant: Solazyme Renewable Oils and Bioproducts Brazil Ltda. Subject: Request for Opinion on the commercial release of genetically modified Class I biohazard microorganism. Meeting: 166th Ordinary meeting held on October 17, 2013. Solazyme requested CTNBio’s advice on the proposed use of the genetically modified microorganism Prototheca moriformis strain S2014, for the commercial production of triglycerides and bioproducts marketing. The microalgae species Prototheca moriformis is a single-celled non-chlorophyll-containing obligatory heterotroph, which reproduces asexually and does not produce spores. CTNBio approved the commercial release of the genetically modified Prototheca moriformis, strain S2014, for the production of triglyceride oils and other bioproducts. Applicant: Bio Celere Agroindustrial Ltda. Bio Celere Agroindustrial Ltda. requested CTNBio’s review of its proposal to import modified S. cerevisiae into Brazil for the purpose of ethanol production. The strain, RN1016, is a yeast of the species S. cerevisiae genetically modified to express the xylA gene encoding xylose isomerase from the nonpathogenic fungus Piromyces sp., which also features increased expression of natural yeast genes XKS1, TAL1, TKL1, RPE1 and RKI1 and deletion of the gene GRE3. CTNBio’s reviewers determined that, based on the information presented, there were no clear risks to the environment or health if used under the conditions proposed by the company. It’s hard to tell from the website listings how difficult or time consuming these applications were. Each of the decision documents lists a date on which some information about the case was published in Brazil’s Official Gazette, and although it’s not clear how closely those dates correspond to each company’s actual application date, for three of the cases the elapsed time between the publication date and the approval date was about 4-6 months. However, the gap for the second Amyris approval is about 14 months, which may indicate that that application was not as easily approved as the first. In any event, given the importance of Brazil for the commercial plans of so many companies developing technologies for ethanol production, it is good to see that commercial applications are being processed and approved by CTNBio under reasonable timelines. Posted on February 20, 2014 by dglassassociates. This entry was posted in Biotechnology Regulations. Bookmark the permalink.